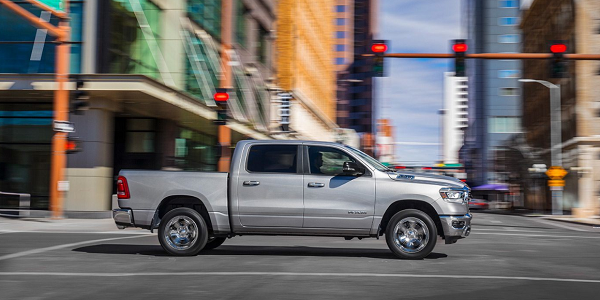 The 2019 RAM 1500 is one of the hottest pick-up trucks to hit the market. It comes with a 3.6L V6 24V VVT eTorque engine as standard with heavy-duty engine cooling, however, there are options to upgrade it to a 5.7L V8 engine. This is accompanied by an 8-speed automatic transmission. It comes with brake assist, anti-lock brakes, and ready alert breaking as standard with discs in the front and rear. It comes with an impressive towing capacity of 12750lb at the maximum and 6730lb as the standard supporting a total payload capacity. 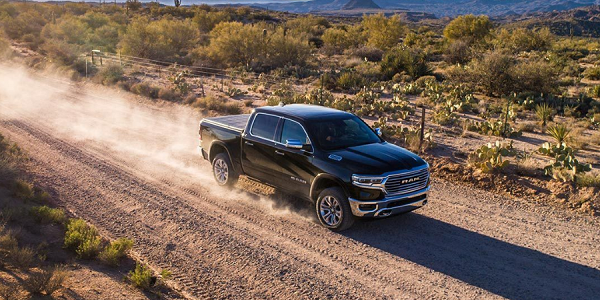 Whether you’re driving your family around Palos Hills, IL, in the 2019 RAM 1500 or you’re using it for work, you want to ensure that you’re driving it is safe. It has multistage front airbags, a child seat anchor system, electronic roll mitigation, electronic stability control and much more. Traction control and hill start assist also come as standard with this amazing multi-purpose pickup truck. 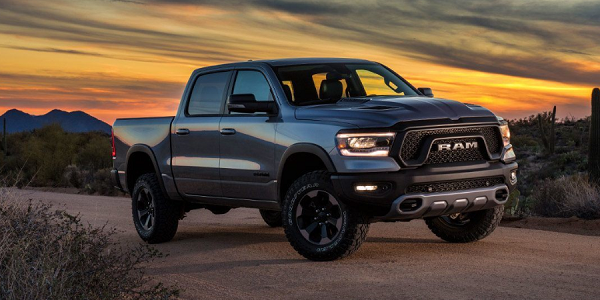 Visit Mancari’s CDJR near Palos Hills, IL to check all the amazing features of 2019 RAM 1500. As we’ve already mentioned the 2019 RAM 1500 comes with a 3.6L V6 24V VVT eTorque engine under the hood as standard complete with standard duty engine cooling. If you wish to get a higher specification version of the RAM 1500 from us at a higher cost you’ll have the option of a 5.7L V8 engine. You’ll be driving using an 8-speed automatic transmission when driving around Palos Hills, IL. The tires that you get with the 2019 RAM 1500 as standard are 18 inches by 8 inch. However, you can upgrade to all season or all-terrain tires for an extra cost. It has front fog lamps and daytime running low beam headlamps as standard to the front and halogen quad headlamps. There are a total of 10 body colors you can choose from as well to customize your 2019 RAM 1500. Check all the wonderful interior specs in-person by visiting Mancari’s CDJR near Palos Hills, IL. 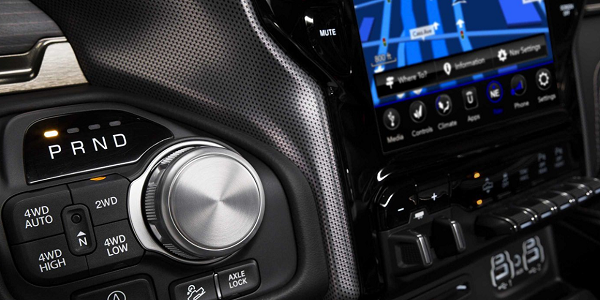 In the 2019 RAM 1500 there is a bunch of technology you get as standard including the 5-inch touchscreen and a 6 speaker audio system. There is also a cool looking shark fin antenna which can go on top of the RAM 1500. You can have systems such as Apple CarPlay and Android Auto put in as optional extras along with HD Radio. Keep yourself connected and entertained on the roads of Palos Hills, IL while driving 2019 RAM 1500. Whether you’re driving your family around Palos Hills, IL, in the 2019 RAM 1500 you want to ensure you’re driving safely. This pick-up truck is packed with safety innovations including dual airbags in the front, a sentry key theft deterrent system, an anchor system for your children in the back, as well as a hill start, assist and electronic stability control and roll mitigation. 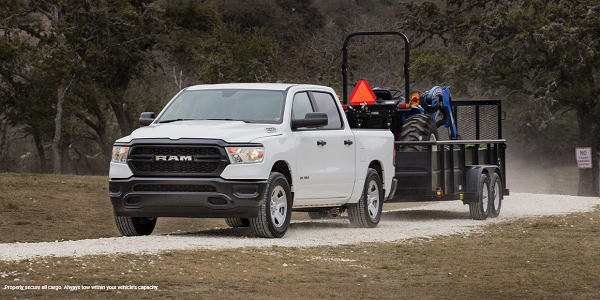 The 2019 RAM 1500 is one of the best vehicles on the market when it comes to its potential of towing capacity both at standard and maximum payload you can carry. It means it is perfect for any purpose whether it be for a building society or hauling supplies around Palos Hills, IL. Why Buy From a New RAM 1500 from Mancari’s serving Palos Hills, IL? Here at Mancari’s CDJR serving Palos Hills, IL, we want you to come to us not only because we offer the best prices around when it comes to the 2019 RAM 1500 and all the other vehicles but we also want to make you feel at home when you come through our dealership doors. All of our staff are friendly and welcoming as well as being experienced and knowledge both when it comes to any questions you have about the vehicles in particular and also about our processes whether you want to know how a lease on the 2019 RAM 1500 works or maybe even a finance deal. We also offer a range of warranties as standard on our vehicles to ensure that you’re protected for years after your purchase.